Embrace open-sky views and fantastic living space in this large two-bedroom, two-bathroom co-op in the coveted West Village overlooking Jackson Square. Looking for room to stretch out in the West Village? Look no further than this uncharacteristically spacious split-bedroom H-line home. The spectacular great room stretches a full 30 feet long, providing plenty of space for living and dining areas with the sights of the city as your stunning backdrop. The windowed separate kitchen is beautifully equipped with long rows of cabinetry topped in granite and full-size stainless steel appliances, including a French door refrigerator, gas range and dishwasher. Two large bedroom suites are placed at opposite ends of the home, and both feature roomy closets, bright windows and private windowed baths. 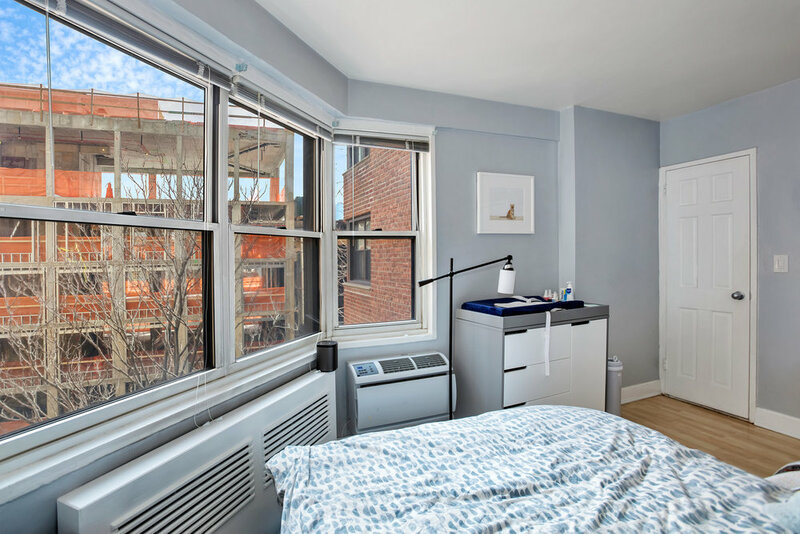 The Van Gogh at 14 Horatio Street is a handsome postwar cooperative set within the boundaries of the Greenwich Village Historic District and directly across from leafy Jackson Square. Residents of the pet-friendly, elevator building enjoy 24-hour doorman service, live-in superintendent, laundry facilities, building-wide water filtration system and a glorious landscaped roof deck. Generous board policies permit pieds-à-terre, guarantors and subletting. Here, the renowned nightlife and dining of the West Village unfold at your feet, including Michelin-starred Kosaka and Gunter Seeger NY. Enjoy magnificent artwork at the nearby Whitney Museum or the galleries of Chelsea, or take in spectacular waterfront recreation and open space at the High Line or Hudson River Park. Transportation from this highly accessible neighborhood is effortless with A/C/E, L, F/M, 1/2/3 and PATH trains all nearby.